A northeastern Colorado native, Ben grew up on a dryland farm and ranch. After completing his bachelor’s degree in Agriculture Business at Colorado State University, he spent more than 11 years with Farm Credit Services as an appraiser and most recently operated his own appraisal company. 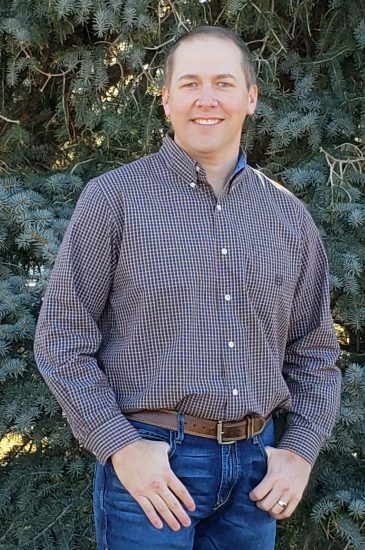 Ben holds an Accredited Rural Appraiser (ARA) designation through the American Society of Farm Managers and Rural Appraisers (ASFMRA) and has experience appraising farms and ranches as well as some specialized agriculture facilities in Colorado, Nebraska and Wyoming. Ben lives near Sterling, Colorado with his wife, Elizabeth, and three young kids where they enjoy a variety of outdoor activities as well as helping out on his family’s farm.